The Coconut oil is one of the most versatile nutritions that we can think of. From the kitchen, it also became part of the routine of many women, who invested in the powerful ingredient to regain the lost nutrients from their hair. The result is incredible, but the oil is much more present in the world of beauty than you can imagine. Did you know that it is also great for the skin? Here’s how to enjoy the benefits of the coconut oil and stay well diva! Coconut oil is an oil extracted from the coconut fruit. There are two types of this functional nutrition, the refined and the extra virgin. The refined one is made from the dried coconut, while the extra virgin is made with fresh coconut. Usually, coconut oil is in a liquid form, only getting solid and white when placed at low temperatures. It does not spoil or become stale even when stored for some time. Rich in a different type of saturated fats, medium-chain triglycerides, coconut oil has gained fame mainly for helping in weight loss. Adding coconut oil to your food will improve your body function. The effect of coconut oil on food is controversial since many people believe that when heating the product its properties are lost. However, some benefits of ingestion of this ingredient have been proven, such as strengthening the body’s immunity. Its vitamins, antibacterial and antifungal properties, help increase good fat and control cholesterol and as said earlier, the wight. Who would have thought that saturated fats could be allied with the diet, right? 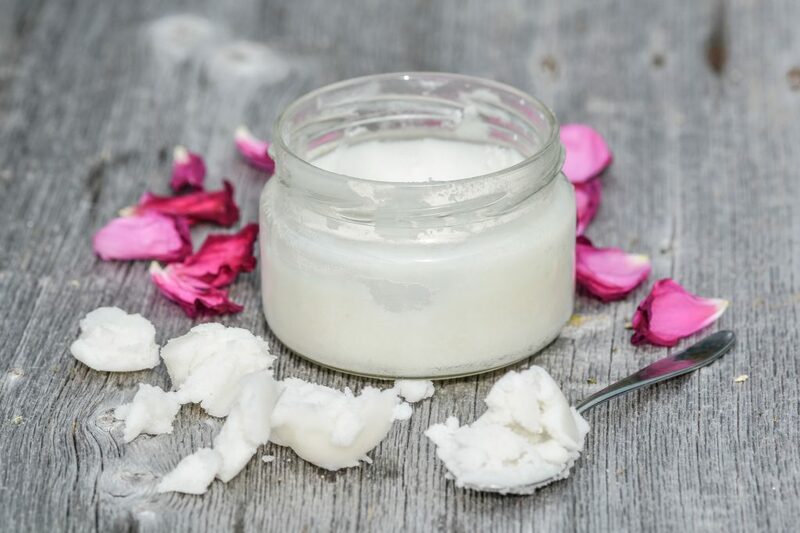 A study done in Canada in 2000 showed that people who consumed coconut oil had higher fat oxidation, which is a process that causes fat breakage, than people who followed diets with ordinary oils. When the fat is broken in the adipose tissue, it is used in the form of energy, that is, it does not accumulate in the body. Another research indicates that the product helps us to accelerate the body’s metabolism. This is because lauric acid allows cells to work in an accelerated way, thus consuming more calories. This process would prevent the accumulation of localized fat and as a result, would favor weight loss. The lauric acid and its antibacterial properties eliminate the harmful bacteria of the intestine, favoring its microbiota (intestinal flora) and thus improving the functioning of the organ. But, beware, excessive consumption can bring the rebound effect, causing diarrhea. Coconut oil removes makeup, and nourishing the skin of your face. If you want to replace the industrialized make-up remover with a more natural, affordable product that takes off all of the makeup, you’ve found the solution. Yes, coconut oil does all that and still leaves your skin nourished! It is very easy to apply. You take a little of the product and use on your face, just the way you apply your facial cream. It even removes waterproof mascara, is that good for you? If you want, you can apply and leave it acting for a few minutes, to nourish the skin. Remove everything with a cotton swab, then rinse it with warm water. 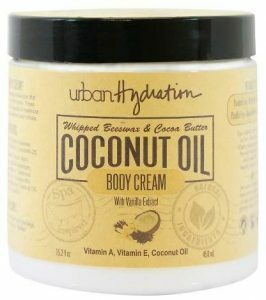 My skin is oily, can I use coconut oil? You can and you should! Contrary to what it seems, it is allied to oily skins. By being naturally antibacterial and antifungal, coconut oil helps prevent acne and leaves the skin very soft without clogging the pores. Is not that great? We have tested and approved! This Make up Remover is a conditioning, Coconut Milk-infused creamy formula that keeps the delicate eye area silky and smooth. This nourishing, non-irritating, and non-greasy formula gently melts away even the most stubborn waterproof eye makeup. Wipes that gently clean and nourish all skin types. 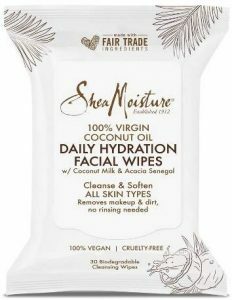 Using the best parts of the coconut, exotic Acacia Senegal, 100% Virgin Coconut Oil and Coconut Milk to gently remove makeup and other impurities from the skin. No rinsing required. Coconut oil has been used since ancient times in India to treat hair. Many organic remedies were prepared with herbs and coconut oil to prevent hair loss. The coconut oil helps in the strengthening and growth of your hair. Because of its antifungal, antiviral and antibacterial properties, the coconut oil also prevents dandruff and lice. Besides, it improves the health of the hair cuticles and capillaries: it protects and moisturizes the scalp, promoting healthy hair growth. Its lauric acid, capric acid, and fatty acids protect the roots and hair from breakage. When massaged into the scalp, coconut oil will improve the blood circulation of the scalp. Thanks to the antioxidants and other essential nutrients this oil deliver the critical features that enhance the smoothness and shine of your hair. It also contains vitamins E, K, iron, which boost hair growth. The coconut oil stimulates hair growth by getting deep hydration to the hair follicles and adding shine and softness to the hair when applied regularly. It acts as a deep conditioner, avoiding double hair ends. The linoleic acid in it helps maintain hydration and its elasticity. The oleic acid helps to thicken and strengthen hair naturally. Coconut oil has the same amazing effect on your eyelashes too. How to use coconut oil on your hair? Moisturize the scalp: Spend it all over the scalp, spreading well, then massage for a few minutes, let it act for an hour and then wash your hair as usual. To moisturize the hair: Pass the oil on the scalp and also on all hair. Massage and put on a cap. Let it act for half an hour and then wash your hair. After washing the hair with shampoo, remove the excess water and apply the conditioner. To boost hydration, add a few drops of coconut oil in the conditioner. Leave on for 20 minutes and rinse it. For daily hydration: If you have a shampoo that dries your hair, add a few drops of coconut oil in your shampoo. As said above you can also add some drops in your conditioner to boost hydration. For healthy growth and strength: Separate one tablespoon of coconut oil and add three drops of essential oil of rosemary, three drops of lavender essential oil and three drops of essential oil of melaleuca. Spread it well all over the scalp. Massage with light circular movements for a few minutes; let it act for an hour and then wash your hair. Let your hair soak up this creamy moisturizing products, blended with our Coco Creme recipe that softens while it cleanses. 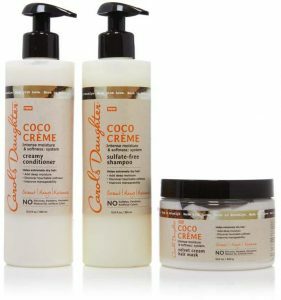 You get Coco Creme Sulfate-Free Shampoo, Coco Creme Creamy Conditioner and Coco Creme Intense Moisture Velvet Hair Mask. Frizz-prone waves and curls tend to dry out easily, making regular conditioning crucial. Walker’s gentle Coconut & Moringa Oils Curl Shampoo smooths waves and curls to help fight frizz. How do I use: Apply shampoo to wet hair and work into a lather. Do you suffer from dry lips or weak nails? Put Coconut oil on them! If your mouth is very dry, the best thing to do first is to exfoliate them before applying the oil. If you have a specific exfoliate for the lips, great, but if you don’t, a homemade sugar mix and lip moisturizer will make the same significant effect. This exfoliation should be done at most twice a week because the region is very sensitive. So, on those days when you don’t exfoliate your lips, you can enjoy moisturizing your lips with the oil before bed. If your problem is weakened nails, you can also use this nutrient to strengthen them. Before going to the manicure, use a little oil on the cuticles to soften and moisturize them. If you want to make the nails even stronger, the tip is to go over them, with no nail polish on, before going to sleep and leave during the night. You don’t even need to wash! 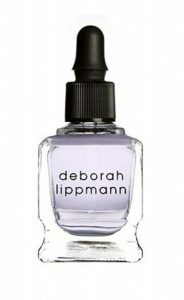 Nourish and repair even the driest cuticles with Deborah Lippmann’s Intensive Nail Treatment. Infused with hydrating Jojoba and Coconut Oil, this is a pre-manicure essential. – Non-greasy formula. 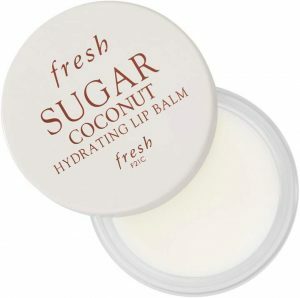 This lip balm is perfect for when the summer heat is unbearable or during the winter, to protect your dry,chapped lips from the freezing cold. Coconut oil calm your skin after hair removal. Women who shave and remove body hair knows that the process is fast, but it can have side effects. One of them is the irritating dots around the region where the hairs were removed. To combat this irritation, a very gentle massage with coconut oil in the most affected area soothes the skin and eliminates the dots. This is a natural, plant-based moisturizer. 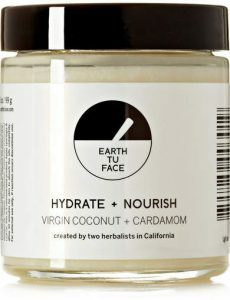 Combining the effects of the highest quality Virgin Coconut Oil, soothing Cocoa Butter and the restorative qualities of Vitamin E, this eco-friendly cream nourishes and rehydrates your skin All of the natural ingredients work together to rebuild your skin’s tissues, reducing the appearance of damage, age spots, and dryness, so your skin becomes softer, smoother, and healthier.